Spring has arrived in downtown Providence, which means it’s time for spring cleaning. 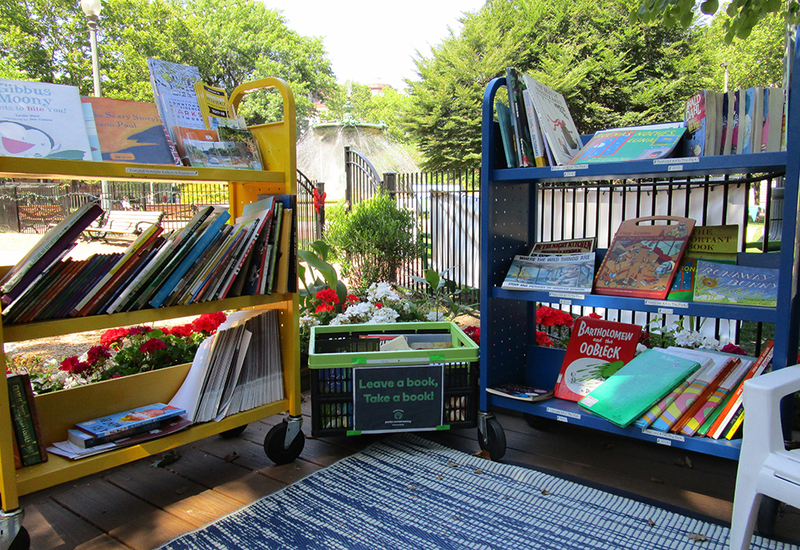 If you are making room at your home for more books, bring your gently read ones to the Little Free Library located right by the entrance to Brandon’s Beach playground and the Downtown Providence Parks Conservancy’s Imagination Center. The Little Free Library was installed in the summer of 2018 and is full of books year round. During our programming season it’s proven to be a great addition to our open air reading room, and when programming is not in session the Little Free Library is always open. How does a Little Free Library work? It couldn’t be easier! Just bring books that you’ve already read and want to send back out into the world, pick up a book that you see in there and take it home. It all operates on the honor system. Little Free Libraries are not unique to Burnside Park, in fact there is another one on Exchange Terrace in front of The Rhode Island Foundation. These small libraries are part of a nonprofit organization established 10 years ago that “inspires a love of reading, builds community, and sparks creativity by fostering neighborhood book exchanges around the world.” These libraries play a critical role in providing 24/7 access to books, especially in areas where access to books is difficult. 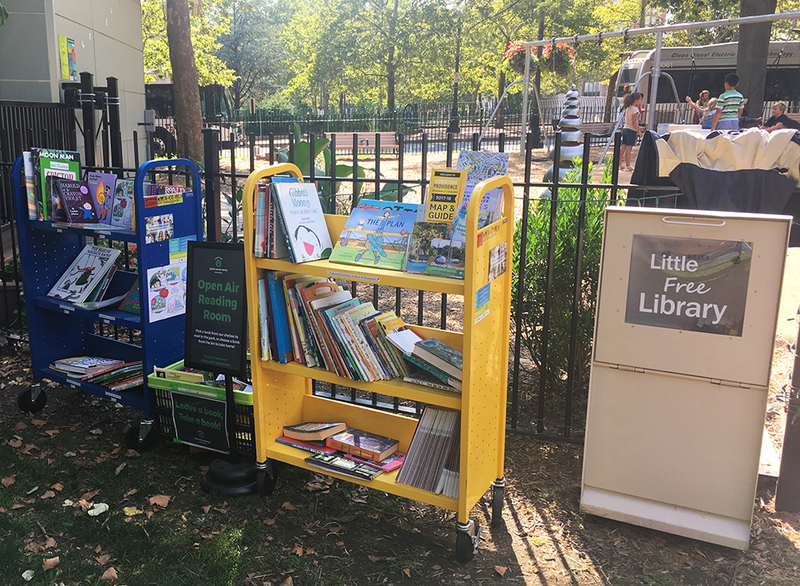 Access to books is incredibly important to the work we are doing at the Downtown Providence Parks Conservancy and a guiding inspiration in our family friendly programming. 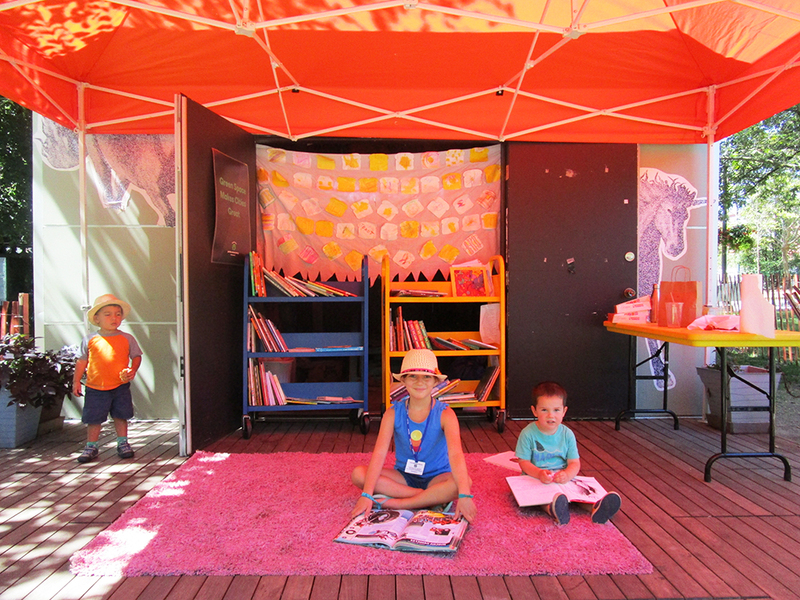 From our Storytime + Art in the Park series, to our special open air reading room, we strive to provide access to books in both English and Spanish for our residents and visitors. Curious about our family friendly programming? Learn more about it here, and stay tuned. We’ll be announcing our 2019 schedule later this spring. Sign up for our newsletter and be the first to know when the schedule is released.